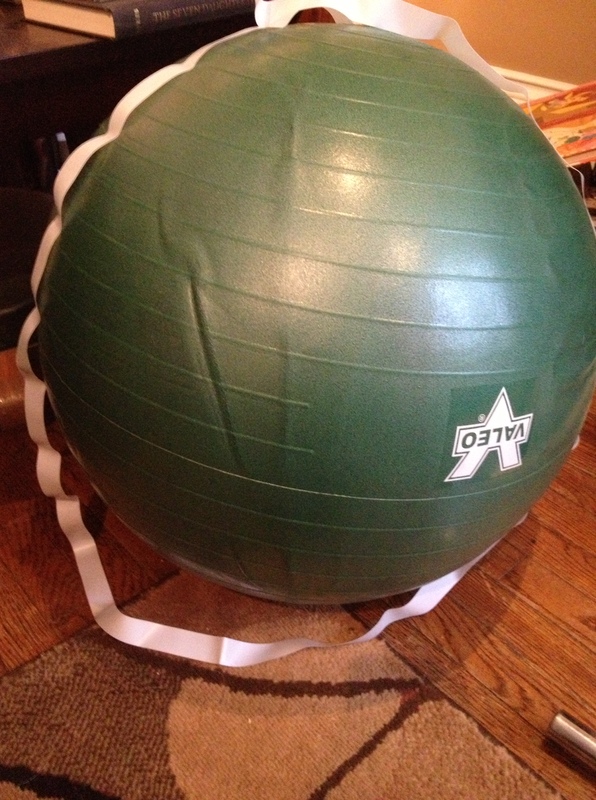 I picked up a Swiss Ball for an exercise in my new strength training routine. It appears to have come with the worst pump ever! This is how it looks after an whole hour of me slaving away, pumping air into the dang thing. See that white ribbon? That’s the tape measure you are supposed to inflate to. Sigh… I finally gave up and did my crunches on a tall footstool. I suspect there is something wrong with the pump that came with it. Over an hour is just silly. (Though I did get to watch a couple of episodes of “The Big Bang Theory” while doing it which was fun.) One of my coworkers said she has a great pump for exercise balls, so she promised to bring it in for me next week. I will give that a try before I return this. I guess the good news is, my arms certainly got a workout last night… it just wasn’t what I was counting on!